Who is the True “Hit King,” Rose or Ichiro? Ichiro Suzuki lined a double off San Diego Padres pitcher Fernando Rodney for his 4,257th hit of his baseball career from Japan and Major League Baseball which combined passed Pete Rose for all-time hits. In Japan Ichiro had 1,278 hits and 2,979 MLB hits. Many people are crowning Ichiro the “Hit King” which is spurring much debate, is Ichiro the true “Hit King,” or is it Charlie Hustle? Ichiro right away was his respectable humble self saying, “For me, it’s not about the record, it’s about my teammates and the fans.” He has always been a such a humble and great man. He did not claim himself as “Hit King” or boast about it in any way. As much as this pains me to say it, I agree with Pete Rose. 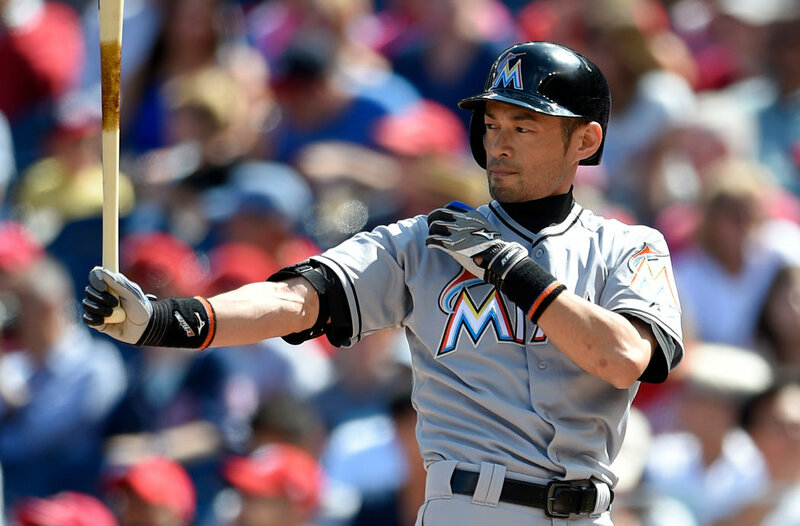 All of Ichiro’s hits in Japan shouldn’t be in consideration when talking about MLB records. It is incredible that Ichiro has hit that much in his career and even more incredible that he is approaching 3,000 MLB hits after coming into the Majors as 27 year-old. Pete Rose, however, should still be considered MLB’s “Hit King” because he hit all 4,256 of them in the MLB. He really does have a strong point that I agree with concerning the type of play here and in Japan. The talent is simply better here and they are completely different leagues. There’s reason tons of Japan players dreams are to play in the MLB. Only MLB stats should be in consideration when talking about MLB records. Don’t get me wrong, Ichiro deserves to be a first ballot Hall of Famer and should be considered to be one of the greatest hitters the world has ever seen. Not only has he been one of the greatest, but Ichiro is an international icon. Many around the world will recognize the name Ichiro. He plays with all his heart and has made great contributions to the MLB. I am not trying to take anything away from his stellar career, but unfortunately, the one and only Charlie Hustle deserves the title, “Hit King,” not Ichiro. June 15th, 2016 10 Comments	MLB Today	David S.
Brewers shortstop, Jonathan Villar, has been nothing short of a revelation. He was supposed to be just a gap shortstop until top prospect, SS Orlando Arcia, made his way up. He was acquired this past off-season from the Astros in exchange for minor league RHP Cy Sneed. Jonathan Villar has been a stud for the Brew Crew this year. Why is no one talking about him? Let’s see just how good Villar has been. Villar, only 25 years old, is slashing .296/.387/.426 with an OPS of .813, 5 home runs, and a league leading 23 stolen bases. Jonathan has exceptional on-base skills with his .387 OBP. As soon as he gets on first, it’s almost a sure bet he’ll be swiping second. Villar has been hitting around .300 all year and it is far enough into the season to say he is no fluke. He’s challenging pitchers with every aspect of his game. His most underrated tool is his defense. Defensively, Villar makes the plays and is always smooth at short. FanGraphs states in their post on Villar: “Villar is on pace to hit 13 home runs, steal 60 bases, and bat .292. That’s 2014 Jose Altuve, but more power and less batting average.” That’s a pretty darn good way to look at how well he has been performing. Mentioning Jose Altuve‘s name in the same sentence as Villar’s shows what kind of player he has been. If you would like a more advanced breakdown on his success, I encourage you to read FanGraphs work. What makes Villar even more valuable is that not only is he playing All-Star caliber baseball, he’s young (25) and controllable (Brewers control through 2020). David Stearns, Brewers GM, has said time and time again how his main goal is to find young controllable talent and he has found quite a hidden gem in Jonathan. Villar should be a valuable core in the Brewers rebuild by moving positions (probably 3rd) when Arcia comes to take his spot. Let’s all applaud David Stearns for this fantastic find. June 14th, 2016 3 Comments	MLB Today	David S.
June 12th, 2016 Leave a comment	MLB Today	David S.
Milwaukee Brewers catcher, Jonathan Lucroy, was already one of the hottest names on the trade market and with his return this year to elite status, everyone has an eye on him. The tough question for the Brewers is whether to trade Lucroy or not. Let’s examine the pros and the cons. Milwaukee’s farm system is already among the best in the league and a Lucroy trade would make it a top 3 farm system with ease. Catchers who rake and field their position well are rare so Lucroy’s value is through the roof. He is currently hitting 316/.372/.539 as of June 6, with 9 bombs and an OPS of .911 after a DREADFUL 2014. The Brew Crew would receive an elite prospect package, adding to the already impressive group of players featuring Orlando Arcia, Brett Phillips, Josh Hader, and Trent Clark. The Brewers also have the 5th overall pick in the upcoming draft, bolstering the farm even more. Luc’s contract is incredibly team friendly, making him even easier to move. The future is already bright, but with a trade and draft here, it gets even brighter, looking at possible young stars. Lastly, Lucroy has expressed interest in being traded to a winning team. Jonathan Lucroy is a fan favorite with the “LUUUUUCCCC,” chants heard every at-bat. It’s hard to give up one of the faces of the franchise that is so well liked. Everyone thought the Brewers were going to be quite dreadful while rebuilding this year, but they’ve actually been playing well. They are working their way back to .500 with only a few games under now. The bullpen has showed it’s elite with the likes of Tyler Thornburg, Blaine Boyer, Will Smith, and the dominance of closer Jeremy Jeffress. Jimmy Nelson is coming into his own and looks like he could be a 1, 2, or 3 for the rotation for years to come. Overall, the rotation has been serviceable other than the liability of Wily Peralta on the mound. Ryan Braun has returned to his old self and is having one of the best years of his career. Hernan Perez keeps hitting his way into the line up and Aaron Hill has heated up since his rough start. Jonathan Villar has been an absolute stud, hitting over .300, leads the league in stolen bases, and plays an exceptional shortstop. Lucroy is a core player and a leader. 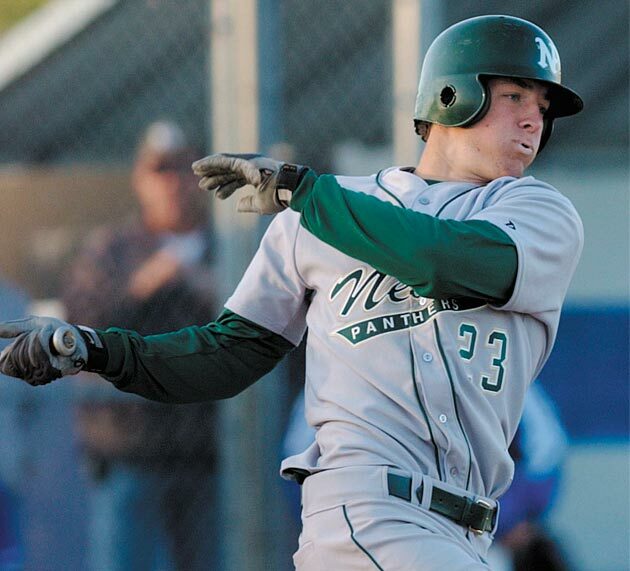 Finding another catcher like him is almost impossible. He could be vital in developing young pitchers and will be a valuable bat in the line up. With the revelation of Villar and the elite bullpen, the Brewers could become more competitive sooner than people think. Top prospect Orlando Arcia will soon be playing gold glove caliber D at short and hopefully Villar gets moved over to second because his bat has to stay in the line up. A Braun, Phillips, and Domingo Santana outfield could be great. Josh Hader is showing ace flashes featuring an ERA under 1. It’s hard to put a timeline on young prospects like Trent Clark, but let’s say these prospects I’ve talked about make their way up within 3 years, it could make the Brew Crew competitive. Lucroy would be a central piece for the years to come if he can be retained. The Brewers are quietly putting together a solid core that Luc is crucial to. I see Luc being too valuable down the road to trade! The Brewers with their solid play this year may convince him to want to stay. He is more valuable to the Brew Crew for the years to come to help anchor a line up as well as help develop up and coming pitchers. He is one of the few “veteran” leaders on the team along with Braun – which also helps sell tickets. This is an incredibly tough decision that David Stearns will have to make. Would I be upset if he was traded and they received a great return? Absolutely not, I can accept their wanting to position the team for the future. Either way, there are positives and negatives to keep Luc. Personally, I would miss him – and so would my sister who cherishes his autograph and catches because of him. What would you do as GM? June 6th, 2016 4 Comments	MLB Today	David S.